Oregon’s spring game is less than three weeks away, and there is still much to be done to prepare, but head coach Mark Helfrich seems far from worried. My colleague Ashley Young met up with Helfrich to discuss what comes next for Oregon’s practice. Naturally, the first thing brought up was the impending quarterback battle. At this point, there has been no major separation between the quarterbacks in terms of how much practice they are getting, and that is just how Helfrich likes it. 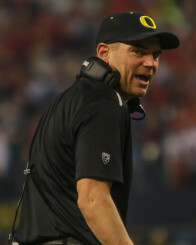 It seems as though Helfrich is tactically not favoring any quarterback, in order to let every man get his fair share of experience at practice, regardless of who starts. However, there is still that outside pressure to find a quarterback equivalent or at least comparable to Marcus Mariota. Yet, Helfrich is more concerned with the other 10 offensive players on the field, than the quarterback. 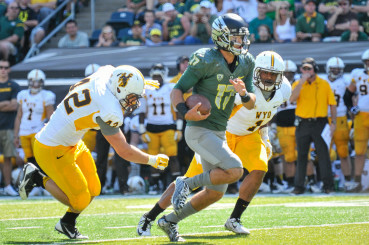 Jef Lockie has established himself as a contender for the starting job, and Helfrich knows it. 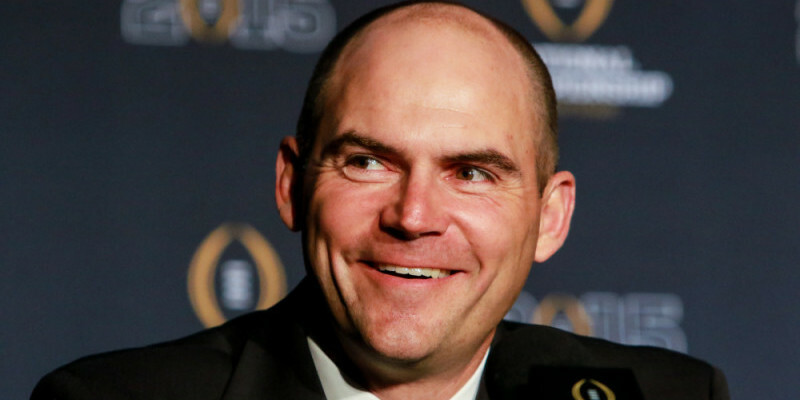 When asked what is left to be done in practice until spring game, Helfrich has only one word: confidence. Helfrich has certainly held on to Chip Kelly‘s “next man up” mentality, and from the looks of it, he will have plenty of choices for who that next man will be.